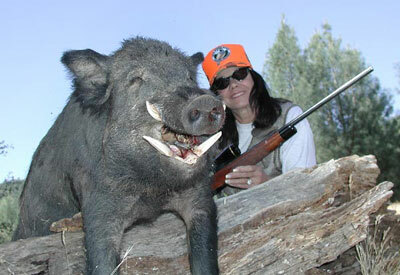 Vicky Myer of Kelseyville, California, recently hunted boar at Rock Springs Ranch with her husband, Bill, and several friends. 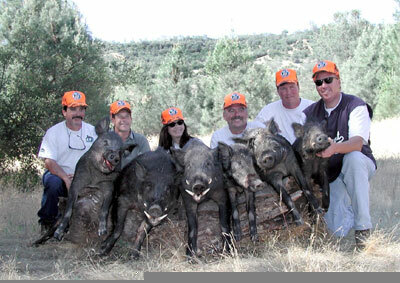 The group took eight boar total, and posed for a photo (below) with the first six of their boar. Pictured are Oscar Rivera, Bill Jenkins, Vicky Myer, Jim DeVos, Ronny McCoy Jr., and Mark Ferro.